Our Virtual Lunch & Learn blog series explores a specific topic adapted from our most popular Allen & Shariff Lunch and Learn courses. You know the benefits of geothermal heating and cooling – it’s clean, renewable, and sustainable, and offers significant cost savings over time. If you’re considering a geothermal HVAC solution, here are three things to consider before investing in a system. Lifecycle Cost – There are a variety of factors influencing a geothermal build and while the upfront cost can be significant, the overall cost-effectiveness throughout the building’s lifecycle is real. But it’s important to be aware of your project’s particularities before you start. Whether or not you need to dig a well, or which loop system is best suited to your property are considerations that affect cost. Know the details going in and make sure your budget can cover the upfront investment, ensuring that you’ll reap the maximum reward over the lifecycle of your facility. Space – What are the restraints of your project site? 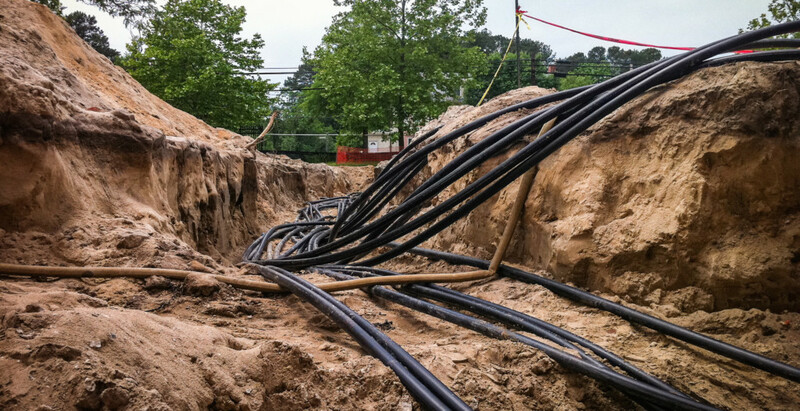 This affects the type of loop system you will need, or whether your lot can accommodate a geothermal system at all. Sites with a pond or well on site have an upfront cost advantage. It also opens the possibility of an open loop system, but some states allow only closed loops. On a large lot, you can build a well field if you don’t already have one, and you’ll have room to install a horizontal loop system. Smaller spaces may be able to utilize a vertical loop or hybrid system, but if space is too limited, geothermal won’t be a viable option for you. Time – Geothermal systems are low maintenance and long-lived (indoor components last about 25 years, ground loops up to 50), so tenants and residents need to be in a space long enough to see those benefits. The energy efficiencies take time to kick in, too, with typical payback happening around five years after installation. Because of the high initial cost, it makes the most sense to capitalize on the long-term cost savings. 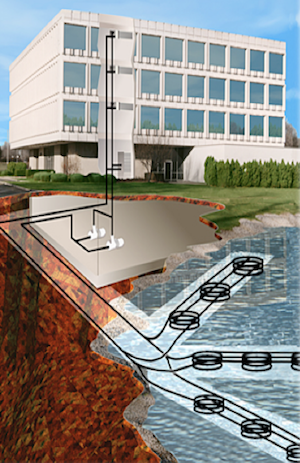 The benefits of geothermal are considerable, even with the up front cost and installation considerations. High efficiency, low maintenance, significant cost savings, and positive environmental impact are all great reasons to take a serious look at how a geothermal HVAC system can impact your project. (L to R): Sample of geothermal header vault, installation at Lord Baltimore in Ocean View, DE with 230 wells, and MDARNG Readiness Center in Salisbury, MD. Want to learn more about this and other construction and engineering topics? Train your team from an MEP expert? Contact Allen & Shariff to schedule an in-person presentation by one of our industry experts.